I'm not sure if this is simply because I have no @Mentions or Posts, but if that's the case maybe a more informative message would make sense than 'Page Not Found' such as 'No Posts' or 'No @Mentions' so it's not just seen as a 404 error. Screen Shot 2018-08-29 at 1.18.59 PM.png​ (300.9 KB) - added by garrett-eclipse 8 months ago. Just to confirm, this is indeed because you have no posts and no mentions. 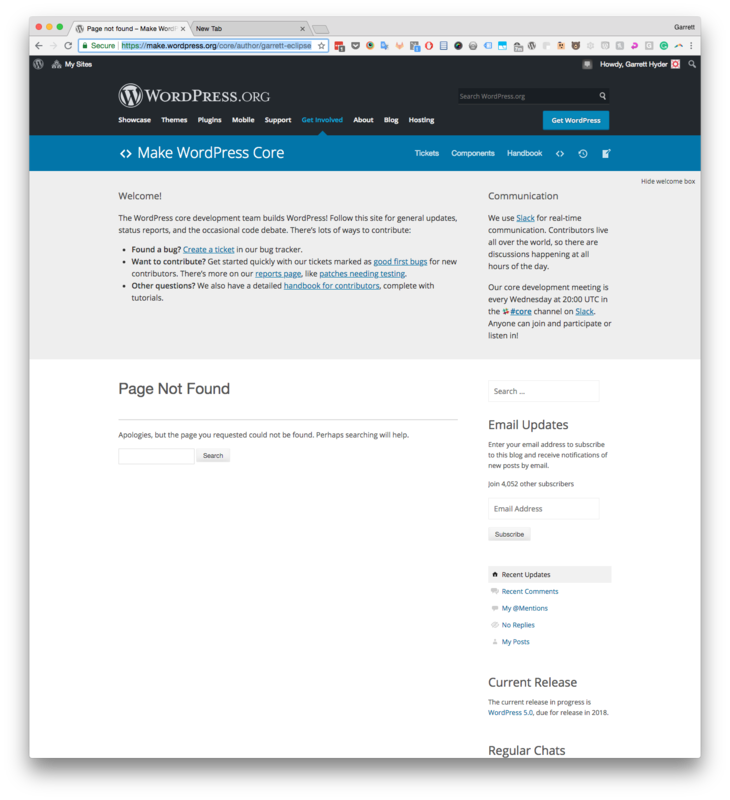 P2's behaviour is to just use a WordPress post archive page, which by default shows a 404 when no posts match. That's exactly correct, I don't have any posts or mentions which is what causes the 404 page and that's misleading. I took a look at the example search with no results and feel that's exactly what's needed here.